In mid-December, the first set of triplets was admitted to the new neonatology service at Kibuye. The first two were boys, and a bit smaller girl. They each weighed between 0.9 and 1.1 kilos (2 and 2.5 pounds). There was even a bit of fanfare. Some government guy came and gave the mom several cans of formula (otherwise prohibitively expensive), and then we set to work. They didn’t do too well at the beginning. No major problems, but it took about 3 weeks to start gaining weight and about a month to reach their birth weights again. But then they hit a stride. Day after day, I would visit them, talk with their dedicated mom, and barter with her about their feeding regimen. But they gained more and more. It seemed that their tenure in the hospital would match my tenure as Alyssa’s replacement, and I thought that this would be my legacy as the fill-in pediatrician. Wednesday, we celebrated. The oldest boy, named Dieudonné, had reached discharge weight. We discharged him, and he would wait in the hospital for his siblings to be ready to go home. We were thankful. Thursday morning, I was told that Dieudonné had a fever the night before and wasn’t breastfeeding well. I checked him out. He didn’t look too bad. We readmitted him and restarted antibiotics. I couldn’t believe it. Tragic things happen all the time, but to take such a long, steady victory and watch it crash to the ground in such a short time? I didn’t feel guilty. Just sad. And defeated. It can make you feel like it’s all in vain. Even his name Dieudonné, meaning “God given”, could almost seem like a mockery, now that he has been taken away. I went to see the mom, to give her my condolences. She was crying. She told me that she is afraid the second son is sick, too. She speaks for the first time of wanting to take the children home. I don’t think she will. She’s not defiant, just in despair. I had a few minutes before rounds, so I walked home and sat down with my old Book of Common Prayer, praying and searching for some comfort. I thumbed it’s 150-year old pages, remembering that the health state of the original owners of this book was maybe even worse than my patients. Not in vain. So be steadfast. I couldn’t tell you how the truth of the resurrection makes the difference for whether or not my work is in vain. But the promise is there. It has been spoken to me. And the one who promises is trustworthy. And so, even if I don’t understand, maybe I can persevere. If you remember a post from several months ago, John was given two pigeons by a grateful patient. After living in the schoolroom bathroom for a week while John constructed them a bamboo palace in our yard, the birds were relocated. In less than one week in their new abode, they somehow figured out how to squeeze through the bars and within minutes of their escape, one of them was promptly eaten by a crow or hawk. We found chunks of her feathers all over the ground. The male was later spotted near the hospital, but who knows if he’s been able to survive the wilds of Kibuye. Sadly, the bamboo palace now stands empty. Snow’s passing was a bit traumatic, but the children were able to quickly move on when Biniyam (son of visiting anesthesiologist) received baby chicks for his birthday a few weeks ago. All the kids ooohed and aaahed over the little balls of feathers and loved to follow them around while they were eating. The following day, when the children’s eyes were momentarily distracted, an attentive crow swooped down and claimed one of the little feather-balls for a tasty snack. “Facing African Realities” — this is the motto of Hope Africa University and we continue to understand more clearly what this means! If you are a parent, you know the tendency of kids to want the new thing that other said-kid has. I can’t even begin to imagine what’s the rage these days in the U.S., so I’ll spare myself the embarrassment of hazarding a guess. Here at Kibuye the latest and greatest fad is baby chicks. Elise asked for baby chicks for her birthday, so 3 more little ones have just been added to the flock. I must say, Elise has some natural “mother hen” tendencies, so it’s working out well so far. We’re hoping they live to see their first birthday, or maybe we should be more realistic and shoot for the 1-month mark! 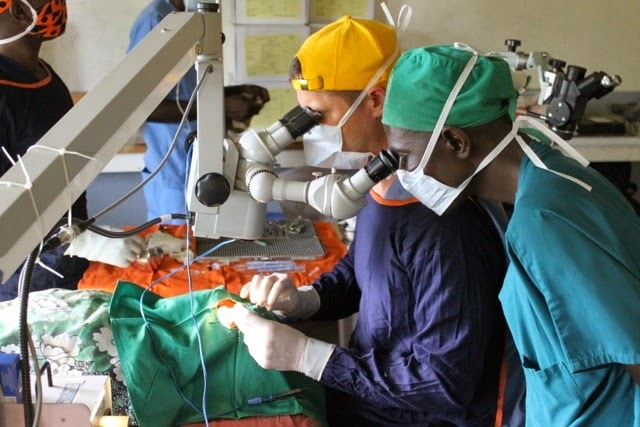 Two weeks ago, the Kibuye Eye Team returned from its first-ever surgical safari trip to Eastern Congo. 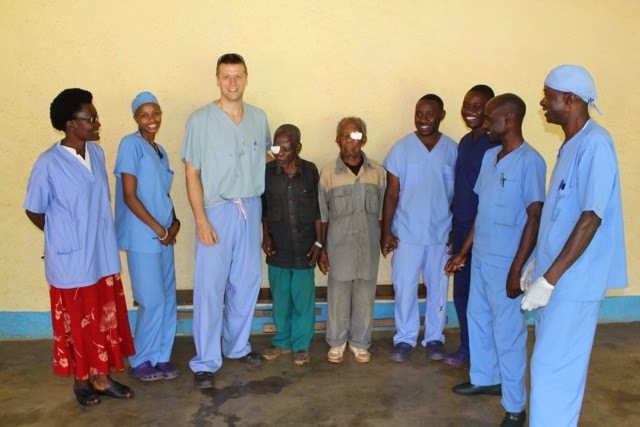 The team included 6 Burundian eye staff, myself, and Eric McLaughlin. Going into the trip, we were praying that God would make it clear whether or not we should go in light of the ongoing rebel activity in the area. God seemed to make the way clear for us and reports from the missionaries on the ground said that all was calm, so we moved ahead with the trip. We drove two vehicles from Kibuye to the Congo border, which was nothing more than a couple little buildings and a rickety one-lane bridge over a swamp. 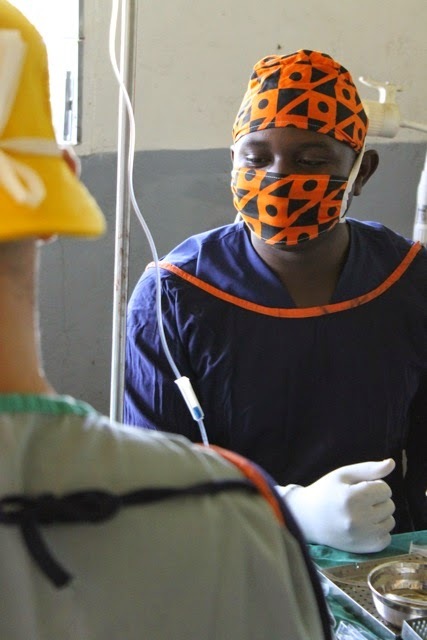 We were thankful for the Congolese medical director who met us there and helped clear us through customs on the Congolese side without having to pay any major fees or taxes on our expensive equipment. Upon entering Congo, the roads immediately changed from tarmac to dirt which we followed for the next 3 hours, sandwiched between the mountains and Lake Tanganyika. We had to ford a few rivers, but only had to pull the team van out once with the 4x4 landcruiser. 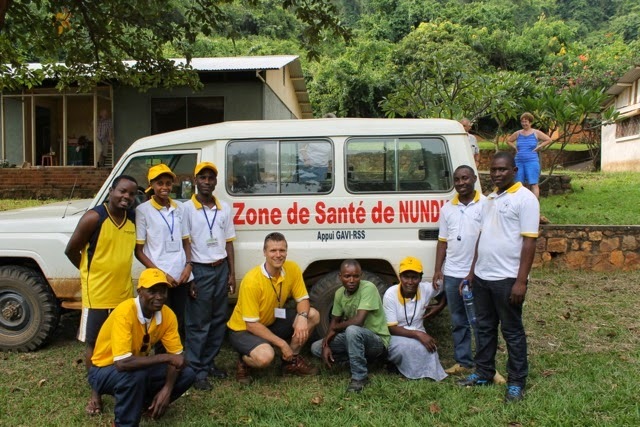 When we arrived at Nundu Free Methodist Hospital, a sister hospital of Kibuye, we got right to work setting up our mobile operating room and organizing clinic for the following day. 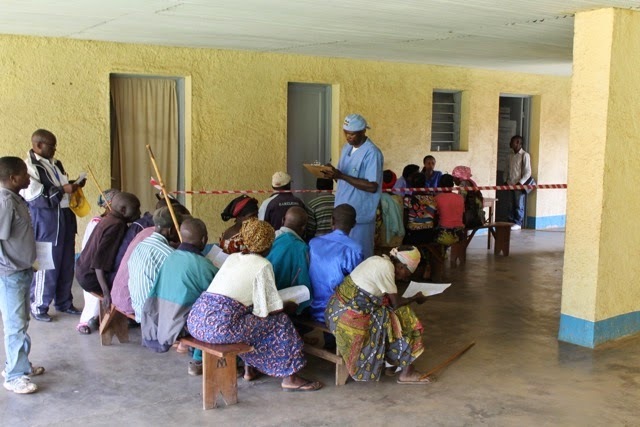 They already had 80+ patients pre-registered, so on the first day we screened those patients and found the ones needing cataract surgery. 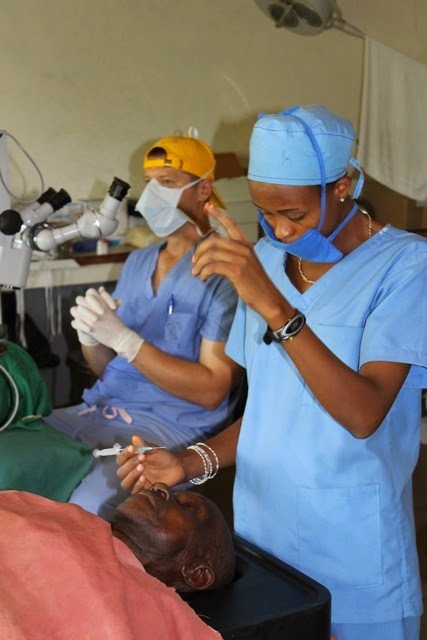 Since this was the first time that eye surgery had ever been offered in this area, many patients were afraid and only two of the surgical candidates were willing to have surgery that afternoon. The first two brave patients! Thankfully, their surgeries went well and on Tuesday morning, everyone waiting in line saw that they had a good result. 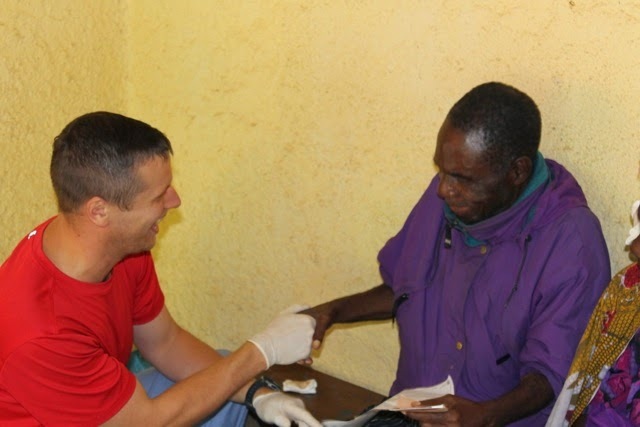 By the end of the week, we were able to do 50 surgical cases. We worked some really long days, several times operating past midnight. Our hosts, the Matthewsons, kept us well-fed and cared for and are now overseeing post-operative care for the patients. My most memorable patient was this old man. When I first met him, I asked him how he was doing. Even though he was totally blind in both eyes, he enthusiastically responded “Je suis très bien!” (which means “I am very well!”). 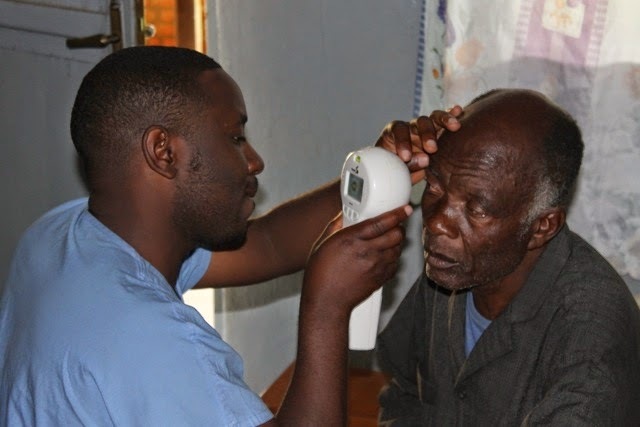 After receiving his sight back early in the week, he became the leading champion for the other patients to have surgery. He came back the last day wanting to have surgery on his second eye. Unfortunately we did not have time and he graciously accepted this. 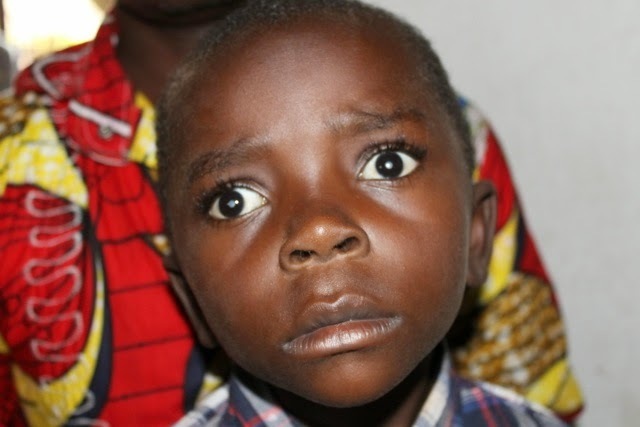 This 10-year-old boy had bilateral cataracts and hadn’t seen since age 3. We successfully removed both of his cataracts using ketamine (intravenous) for anesthesia. 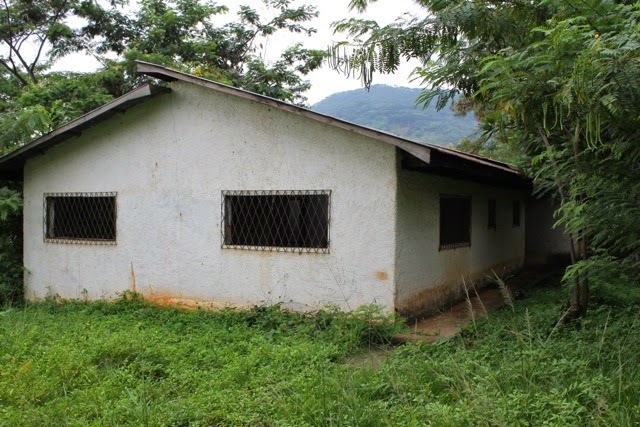 Nundu is trying to rebuild after chronic civil war in the region. Some of the houses still remain gutted with everything having been taken except for the concrete walls and occasionally the roof. Most of the Burundian eye staff that joined us on the trip had never been outside of Burundi before. This trip opened their eyes to the differences in culture, language, etc. that exist between their African brothers & sisters. 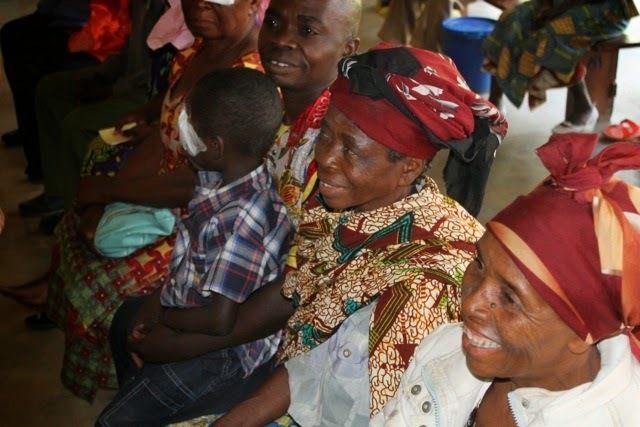 Unlike Burundi, where a large number of patients suffer from something I have dubbed “Kurima Syndrome” (see note below), all of the Congolese patients who came to see us had an actual eye problem. The staff had never seen such a high percentage of actual eye disease! Kurima Syndrome: The word “kurima” means “to hoe” in Kirundi. It was the first verb that we learned and we initially thought that was weird, but shortly realized that it is because subsistence farming with a hoe is how most people make their living. For some reason, when patients have radiating pain in their neck and/or back, headache or chest/stomach pain, it is attributed to a problem with the eyes (as opposed to it being attributed to hoeing all day long or carrying large loads on their heads). So, they come to see me even though they often have no actual complaint with their eyes or vision. 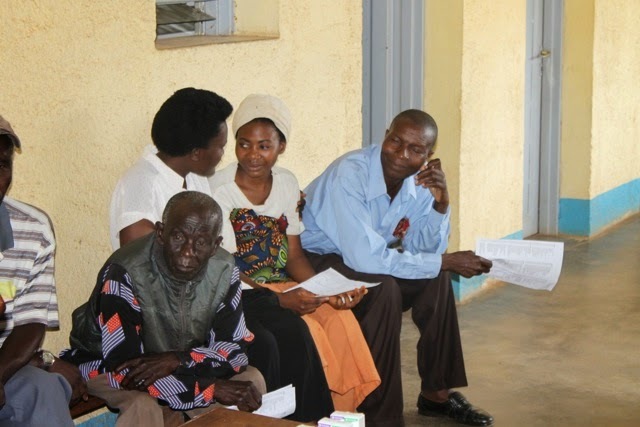 Dr. Toney, my Burundian colleague, has become very adept at screening these patients. So, imagine his surprise (and delight) when he realized that this phenomenon doesn’t exist in Congo. 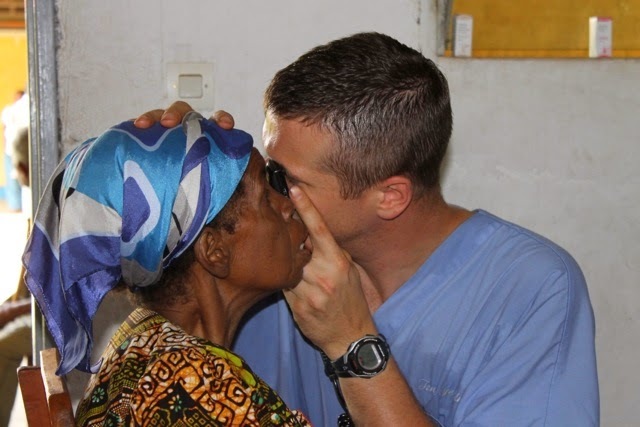 This trip was a dream come true for me as God has given me the vision to bring eye care to hard-to-reach places in this region of Africa. We hope to return to Nundu on a regular basis. Thanks to all of you who prayed for us and this trip. Please continue to remember these patients in your prayers and pray that the seed of the Gospel that has been planted would grow in their hearts and lives. Several weeks ago, a 7 year old girl came into the ER. She was in a coma with a high fever, her neck arched back and drooling. She had gotten sick a couple days prior, and fallen into this coma that morning. We unfortunately see this kind of thing not uncommonly. 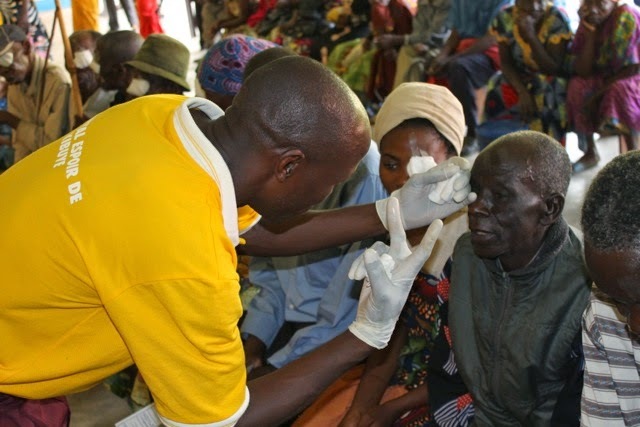 Most of the cases are cerebral malaria. Some of them are bacterial meningitis. A few of them are TB meningitis, but they don't usually get sick that fast. Her malarial test was negative, but given the severity of her illness, she was started on both meningitis and malaria treatment. Often these kids get better. Sometimes they don't. The next day this little girl still had a fever and looked no better. We tried to think of anything else we could do for her, but came up empty. Same thing the next day. We prayed often for her with her family. Around day 4 in the hospital, she had a break-out of red lesions around her mouth. They looked like herpes. Now the ideas changed. Rarely, herpes (either the sexually-transmitted kind or the oral-transmitted "cold sore" kind) can develop into a brain infection. And this would explain what she wasn't getting any better. Herpes can be treated with acyclovir. It's cheap, old, and effective. So much so that in the US, it is often replaced with a newer, more expensive, and slightly more effective (maybe) version. But we don't have that. In fact, we have nothing at all to treat herpes. So we're just watching her. Praying. Giving her IV fluids, and oxygen after she got worse. Day 6, I look at her pupils, and one is definitely bigger than the other and not responding to light. In short, this is a sign of impending brain death. You can't really get worse than this and still be alive. Her mom knows she isn't getting better and wants to take her home. "To pray" she says, which I think means "to die", but who am I to question that? I tell her that we have been praying for her, and we will continue to pray for her, but I don't think that she will succeed in getting her home, and even if we cannot guarantee that she will make it, I don't think that going home is the right thing to do. The next day, she is a bit better. Mom is satisfied. Each day, she is a bit better. She stops having trouble breathing. She is able to eat a bit. Mom never lets me pass her by without stopping to pray with her. Eventually she goes home. Her pupil is still big. She doesn't talk. She can sit up only with great assistance. And there is a good chance that she will stay that way, but who knows? If we keep praying, what could be gained? I don't know what this girl was like before, but if I think of a young healthy Burundian girl, in the first couple years of walking to school with her friends, and compare her with the girl I now know, it's hard. She's alive, and I thought she would die. But she still needs so much healing. And it's like that, a lot of the time. In the hymn "Take the World, but Give me Jesus", there is a short phrase: The Fullness of Redemption. This girl is alive, now, with her family, at home, and I expected her to die. That is redemption. It is goodness, and for it I and her mom are thankful. But it's not "fullness of redemption". Not by a long shot. And my heart yearns for Fullness of Redemption. Sometimes we get to see it, in a particular place and time, but most of the time, it is something that falls short. The malnourished kid gets over the pneumonia, but the family still doesn't have enough food. Jason puts the femur back together, but the roads are just as dangerous as ever. A father survives a stroke, but he can't afford his blood pressure medicines, so there's likely another coming soon. I can’t remember if we’ve blogged before about the phenomenon of being “on call” here in a land of erratic electricity and no phone lines but I thought it was worth an interesting glimpse into this facet of our lives. The classic American doctor is never seen without his or her pager. In fact, in residency most of us had two pagers, sometimes more. I have a classic picture of my best friend in surgical residency wearing something like 5 pagers on her scrub pants. That’s availability. Always reachable, all the time. Another friend said that in his residency the RULE was that you needed to return a page within 60 seconds, no matter what you were doing at the time, and the senior residents would sometimes page you with a timer in hand to check up on you. It was a rather freeing moment to turn in those pagers on the last day of residency. 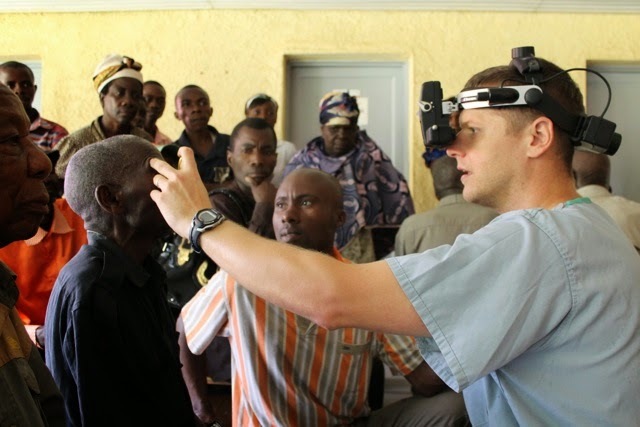 We weren’t sure what to expect when we arrived in Kenya but were surprised to find that Tenwek issued a pager to every doctor, and there were phone lines connecting the hospital and surrounding homes. Of course, this was an adventure of another sort. When I would get a page from one of my interns at 2AM, it was usually a challenge. Our Kenyan interns, while very good (accented) English speakers, were notoriously “low talkers.” This is usually in reference to the volume of their voices, although sometimes also the tone. I would frantically push the phone against my ear as hard as I could, blocking the other ear with my finger, close my eyes, and try to concentrate as hard as I could to figure out what was going on. And the less I could hear, the louder I talked (and probably they would then hold the phone farther from THEIR ear, making it even harder to hear). Usually if they were calling in the first place, I needed to go in. It was always easier to figure out the problem in person. Carlan actually had the best method I’ve heard of to get people to talk louder on the phone. The less he could hear, the softer he talked on the phone, getting the person on the other end to hold the phone closer (so THEY could hear) and thus they became louder. Upon arrival here at Kibuye, we confirmed the assumption that there are no pagers (you need phone lines AND constant electricity) but assumed that most people would just call us on our cell phones when they needed us. 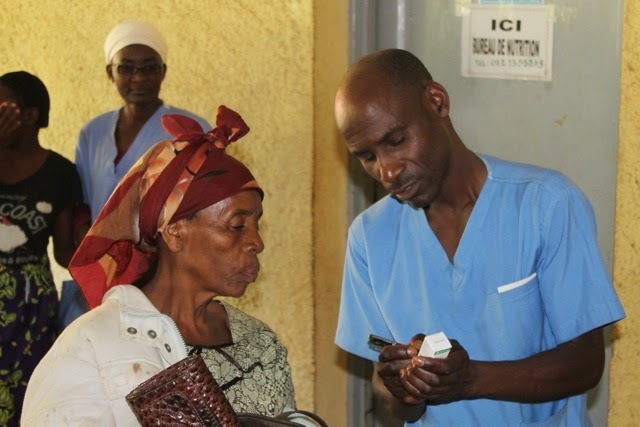 It was a pleasant surprise to discover that the Burundian generalists share the overnight calls (mostly C-sections), and we “specialists” are reserved for emergency situations. I had had visions of doing C-sections in the hospital every night, so this was a relief. Then we found out that no one actually ever calls us on our cell phones (too expensive? no cell minutes? bad connection/network? who knows why). Perhaps this is for the best, as French is even harder to understand on a crackly cell phone than accented English. If someone at the hospital needs us, usually Jason but I (Rachel) am the next more common, they send “the worker.” Someone up at the hospital will write down the problem on a sheet of paper called an “Ordinance.” They hand it to the travailler (worker) who walks down to our houses, 5-7 min away. The worker knocks on our door, sometimes at 3am, and waits until he gets a response. Sometimes we can write a response and send it back, but usually the paper says something like, “we need you for an emergency” and we walk back to the hospital with him. You can see that in this case, an “emergency” will not actually get a doctor to the hospital in less than 20-30min if you factor in the time to write the message, find the worker, send the worker, wait for the doctor (who sometimes needs to change out of their pajamas), and walk back to the hospital. We have a rather slower pace of life here! Jason especially has more than his fair share of knocks at the door. Sometimes the guard/worker actually knocks at the bedroom window (creepy). :) Monday night I had one of the most dramatic wake ups, inspiring me to write the blog. 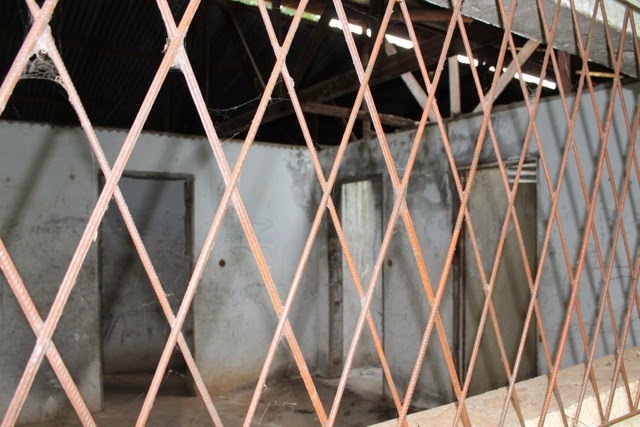 (backdrop: the power had gone out at 4pm earlier that day and was out all night long, so it was pitch black with no outside lights, or the possibility of turning on inside lights either) A woman was transferred to Kibuye with a postpartum hemorrhage, so the doctor on call told the nurse to get me. The ambulance (Land Cruiser) was fired up to drive the 1/4 km to my house. But after dark, the gates are padlocked shut. So at 3:40am I heard a terrific banging and yelling as the hospital worker tried to get our night guard to wake up and unlock the gate. Then there was a long conversation at the guard shack (right outside my bedroom window) and finally the telltale flashlight bobbing along down the sidewalk to the front door, followed by the pounding on the door to wake me up (if I wasn’t already awake after all that ruckus). Stephanie (4 houses further down) told me the next day that she had woken up and wondered if there was a robbery or something going on. :) Unfortunately this time I couldn’t go, as Eric has been in Congo and I can’t leave the kids alone, obviously. I laid in bed feeling guilty about the poor woman dying because of me and never went back to sleep. Fortunately, I got my chance later in the AM, as she was still alive and still bleeding, so I did surgery for her retained placenta and she seems better now, although not yet out of the woods. Just another night on call here at Kibuye.